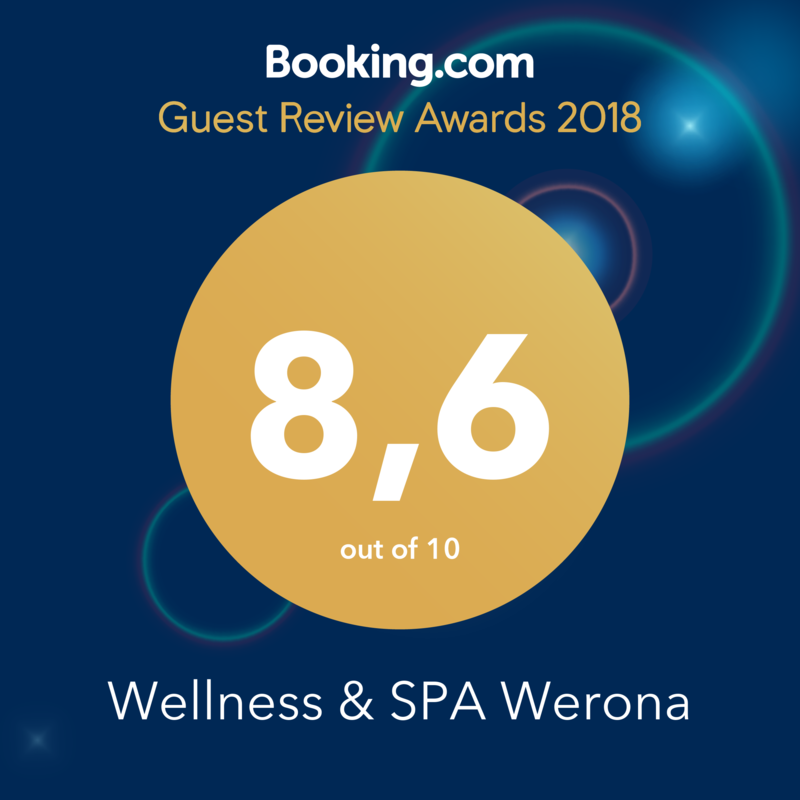 Wellness and Spa Verona is a modern 3 *** hotel in Duszniki-Zdrój, located in the heart of the Health Resort Park. Due to its location, it is a great place to relax both in the summer and winter season. The complex consists of 2 buildings connected by a roofed hallway. We offer 53 cozy rooms with modern bathrooms. Standard rooms are equipped with 2, 3 or 4 beds, closet, a wardrobe, a TV, a telephone, a desk and access to the Internet. For families with small children there are prepared beds, baby baths, an electric kettle, chairs and a play area. A family dinner, a business lunch or maybe a romantic dinner for two? Regardless of whether you want to celebrate an important anniversary or simply celebrate moments with your loved ones, Verona Restaurant opened from 12 am to 10 pm, will do its best to satisfy you and your guests. Our cuisine is based on fresh, seasonal products of local origin delivered by reliable manufacturers for years. We make sure that the dishes prepared by us are rich in nutrients. The taste is not only because of spices, but also because of the passion with which the team prepares each meal. On the menu you can find regional dishes, Italian dishes and meals from many other parts of the world, as well as hand-made desserts. The menu will satisfy meat lovers as well as vegetarians. The dishes taste even better thanks to the stylish interior of the restaurant, which makes every meal a feast. In the restaurant, we also serve tasty and hearty breakfasts in the form of a buffet served daily from 8.00-10.30am and delicious dinners from 5.00-7.00pm. Cloudy weather, rainy day or your children have too much energy…? We’ll sort it out. It’s hard to find as exciting game as bowling. Healthy competition with family or friends is a perfect idea for the evening. In our bowling alley there are 4 bowling lanes and 2 billiard tables for ambitious ones. The wellness & spa area offers saunas,jacuzzi, a fitness room equipped with professional rolletic and cardio equipment, table tennis and a wide range of face and body treatments, massages and baths.The new in the facility is a Finnish outdoor sauna and a wood-burning Japanese tub, also called a hot barrel, in which after practising sport or after an exhausting journey, you can regenerate your tired body. During bathing, especially in the winter, people immunize to diseases, while the bath itself provides unforgettable moments. According to the act No. LV / 276/14 City Council in Duszniki Zdrój, a visitors’ tax is collected from individuals staying more than one day in the health resort Duszniki Zdrój in the amount of 3.50 PLN for each consecutive day of stay, children up to 13 1 PLN for each day of stay.